Featured amenities include luggage storage, an elevator (lift), and a vending machine. Stay in one of 40 guestrooms featuring LCD televisions. Complimentary wireless Internet access is available to keep you connected. Bathrooms have shower/tub combinations and hair dryers. Conveniences include desks, housekeeping is provided daily, and cribs/infant beds (complimentary) can be requested. Featured amenities include complimentary newspapers in the lobby, a 24-hour front desk, and laundry facilities. Planning an event in Dunkerque? This hotel has 1076 square feet (100 square meters) of space consisting of conference space and a meeting room. lastminute.com has a fantastic range of hotels in Dunkerque, with everything from cheap hotels to luxurious five star accommodation available. 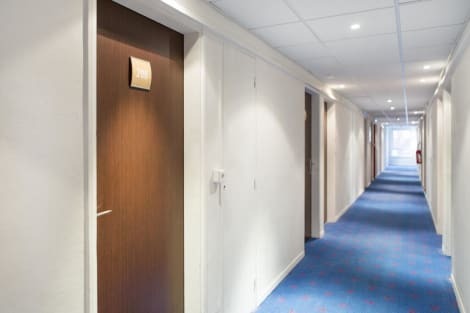 We like to live up to our last minute name so remember you can book any one of our excellent Dunkerque hotels up until midnight and stay the same night.